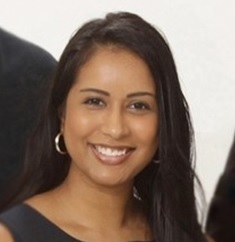 Dr Saadia Mahmood graduated from McMaster University with an Honours Bachelor of Science degree in 2009. She then went on to attend the Canadian College of Naturopathic Medicine’s four year extensive naturopathic program to earn her Doctor of Naturopathic Medicine degree. She is registered with the Ontario Association of Naturopathic Doctors, the Canadian Association of Naturopathic Doctors and the College of Naturopaths of Ontario. She is actively involved in continuing education to further her knowledge in natural healthcare and preventative medicine. During her twelve month internship at the Robert Schad Naturopathic Clinic in Toronto, she developed her skills as a medical practitioner by providing primary health care to its patients. She has also had the opportunity to work as an intern at the Sherbourne Health Centre in downtown Toronto which specializes in HIV integrative medicine. She has been involved with global health initiatives such as Natural Doctors International where she volunteered as a brigade member in Ometepe, Nicaragua in 2014. Outside of work, Saadia’s interests include spending time outdoors and reading mystery novels. She is also soccer fan and cheers for the Arsenal soccer team.